Our skin tightening and contouring procedures use non-invasive, radio frequency (RF) technology, delivered by Endymed 3DEEP®, the most advanced radio frequency technology on the market today. • cellulite and circumference reduction, shaping and contouring, of the mid-section, arms, legs, and more. 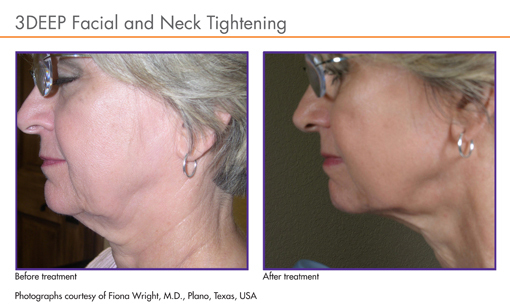 Dr. Ellen Cunningham, board-certified dermatologist, answers common questions about skin tightening with the EndyMed device. If you have anymore questions about Skin Tightening and Contouring, call us at 973-785-8686, or email us at contact@mcmedicalnj.com.